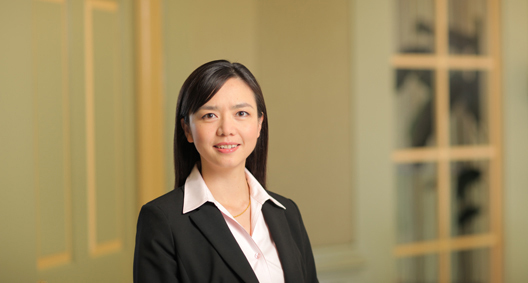 Jing Zhu is an international trade analyst and Co-Chair of the Trade Remedies Committee of the Association of Women in International Trade (WIIT). She has organized high-level policy dialogues covering Section 232 investigations, U.S.-China trade disputes, agricultural trade and non-tariff trade barriers on behalf of the WIIT. Prior to joining the firm, Jing was an associate editor at a trade publication, Inside U.S. Trade, where she produced on-site coverage of the Sixth WTO Ministerial Conference held in Hong Kong. Jing has assisted the Chinese government in one of the first subsidy cases against non-market economies and multinational corporations in addressing trade barriers abroad. Most recently, Jing has assisted Canadian producers and industry associations in trade remedy and investor-state disputes in front of the U.S. Department of Commerce, U.S. International Trade Commission, the North American Free Trade Agreement (NAFTA), and the World Trade Organization (WTO). Jing has developed in-depth knowledge about the policy-making process and business environment in both the United States and China. She is the lead author of a foreign affairs column analyzing U.S. policies toward Asia for China's most influential digital news media, Thepaper.cn, which attracts more than 10 million visits per day. In recognition of Jing's contributions to promoting a better understanding of that important bilateral relationship, the Committee of 100, a prominent Chinese-American organization, recently selected her as a NextGen Ambassador. Assisted the Chinese government in a subsidy investigation against laminated woven sacks, one of the first CVD cases against non-market economies, in front of the U.S. Department of Commerce. Identified a subsidy investigation against Canadian supercalendered paper one year prior to its initiation, and assisted Canadian industry associations and producers in responding to trade remedy actions against supercalendered paper, uncoated groundwood paper, and softwood lumber from Canada (the largest trade dispute in the world). Coordinated with Canadian paper producers and the U.S. print media in obtaining a unanimous 5-0 International Trade Commission negative final determination terminating duties on uncoated groundwood paper from Canada. Published guest column in Law360 analyzing the impact of a U.S. WTO request for information on Chinese rules governing internet services. Has reported extensively on negotiations within the World Trade Organization, congressional debates on U.S. trade policy and U.S.-China trade disputes.